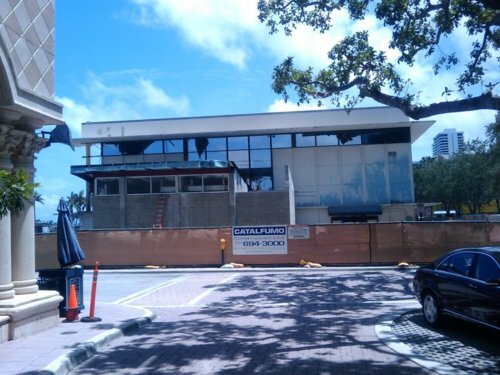 As of Friday June 5th, 2009, the old library on the eastern end of Clematis Street is finally gone. 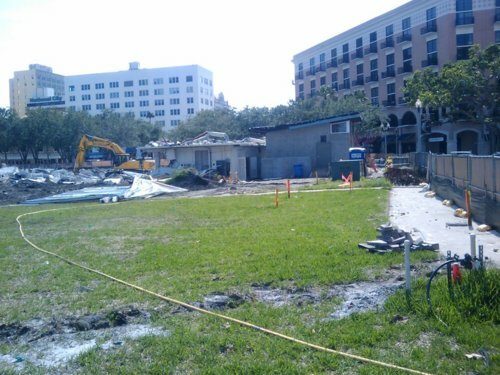 It took about three weeks for the demolition crew to finally get to the last surviving piece, which was on the north side, just adjacent to the 1 N. Clematis Street office building. 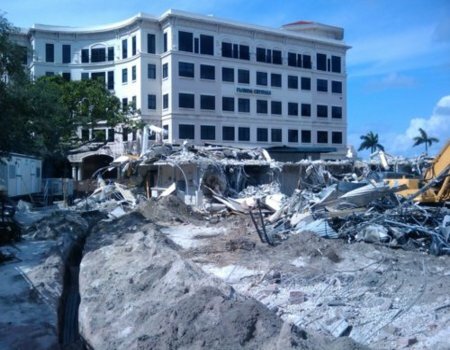 The below pictures showing the library's final ending should be fun for history buffs and others who knew the old library since it was built in 1962. 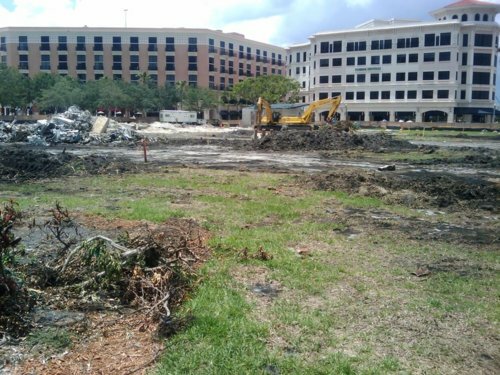 All that remains now is rubble, but also the great promise of a Clematis Street that is again opened up to the intracoastal waterway, thereby allowing us humans to derive greater enjoyment from the natural beauty that is already here in downtown West Palm Beach. 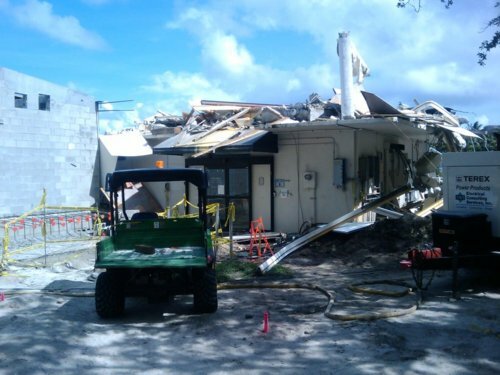 The first picture shows the northern section still entirely up (looking from the north side) and the second picture shows the northern section after the 2nd floor had been knocked off. 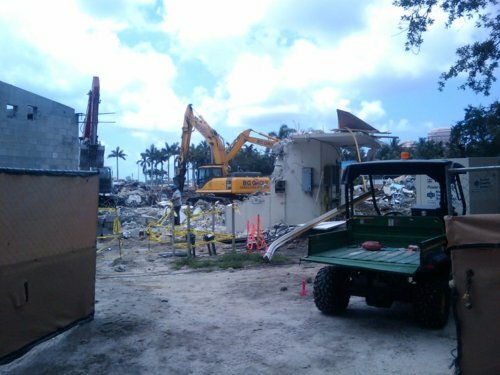 The following there pictures show that last surviving portion of the library with the second floor taken off, from various directions. 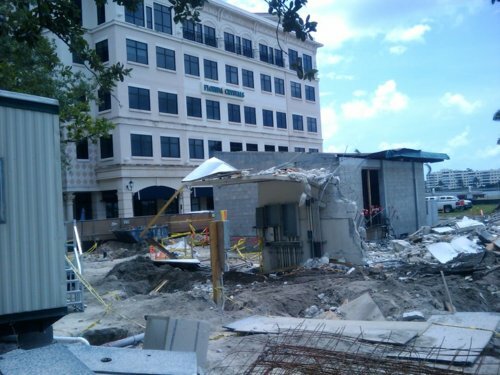 Note that in the first picture, you can see the old north ground-floor entrance still standing. 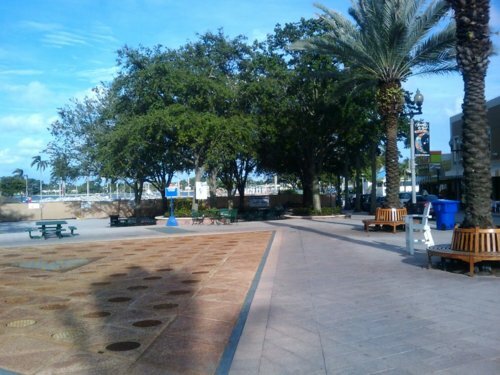 Now, the really fun part (or the sad part if you were really attached to that library). 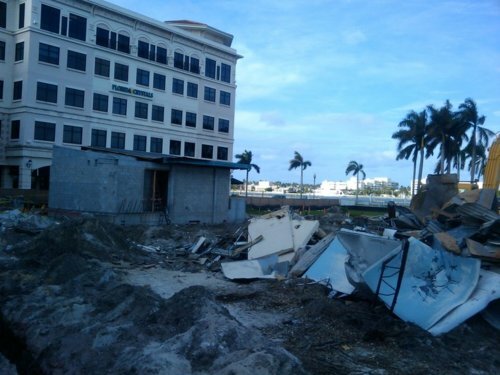 The next two pictures show, from two different directions, the one remaining jagged piece of the library that was the last piece to be left standing, along the northwest corner. 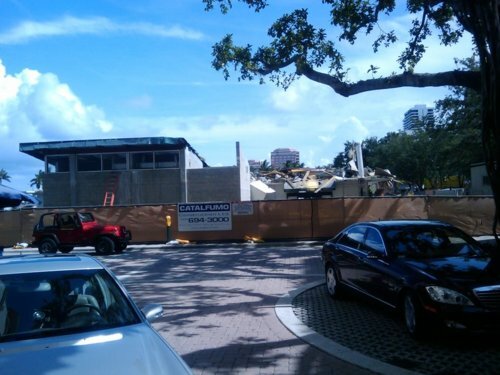 The third picture after that shows the same area, after that last jagged piece was knocked down.